Years ago on my previous blog I posted a list of free patterns and tutorials for making felt toy food. There seems to be a renewed interest in that post so I’m putting it on this blog and updating with all of the links verified to be working as of today. Field Notes from an Evolutionary Psychologist: Magnetic Felt Food – ‘Peelable’ Cantaloupe Slice – Pattern!! Playing with your food! : Ice cream Cone! Playing with your food! : Ice cream sandwich… And how I did it! Felt Shrimp Stirfry- Felt Food on Flickr – Photo Sharing! Berry mix on Flickr – Photo Sharing! Pure Joy: do you want fries with that? Felt Tofu, Edamame & Inari Sushi on Flickr – Photo Sharing! Playing with your food! : Mushrooms! Corn on Flickr – Photo Sharing! Corn on the Cob on Flickr – Photo Sharing! Avocado with wet felted pit on Flickr – Photo Sharing! Whole artichoke on Flickr – Photo Sharing! 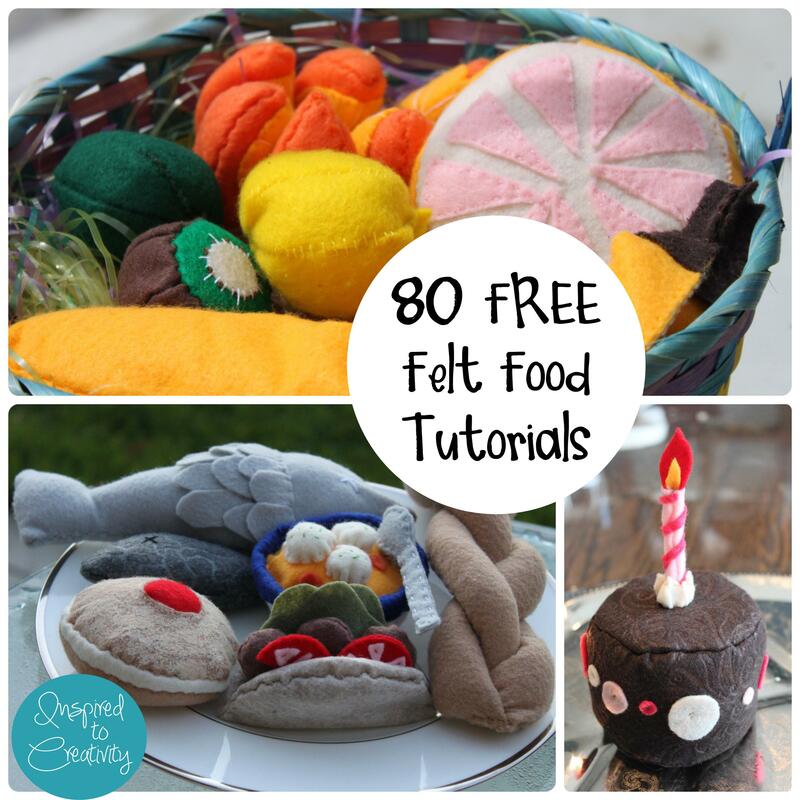 3 Responses to "Felt Toy Food – Huge List of 80 Free Patterns & Tutorials – Updated"